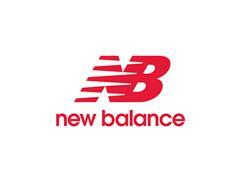 ~~BOSTON, JANUARY 2016 – This spring 2016, Boston-based New Balance will update the award winning 1400 racing flat with the New Balance 1400v4. Preserving the adored qualities that have fueled the cult following behind this series, 1400v4 offers a fresh, fast design ready for training day to 26.2. The 1400v4 launches for men and women in April 2016 with the suggested retail price of $99.95. New Balance launched the 1400 series to round out the brand’s premium running footwear offering and give runners a unique racing flat that is perfect for race day. Runners not only embraced the 1400 series as a go to favorite on race day, but have also come to rely on this shoe for important pre-race training, thanks to the unique last and footprint of this shoe. Considering the successes of its predecessors, updates to the 1400 are minimal, ensuring the 1400v4 will continue as a favorite among elite and everyday runners around the world. The 1400V4 enjoys slightly more blown rubber for increased durability and traction on slick road racing surfaces. Coveted for its unique fit and feel at midstance, the 1400v4 maintains this crucial footprint for inherent stability in this unique racing flat. Sleek, light and tailored for a sock-like fit, a newly imagined upper offers streamlined comfort with a speed-inspired design for the 1400v4. An aggressive sublimation pattern showcases the barefoot-friendly breathable air mesh while no-sew overlays gently encase the midfoot. In the back of the shoe, a soft collar lining hugs the heel with an internal counter for a touch of support. Underfoot, speed-seekers will enjoy a refined REVlite midsole built for a speedy and resilient ride. The 1400v4 continues to deliver the fast experience runners crave on race day with the durability and protection they need, making it a well-rounded choice for elite and everyday runners alike.